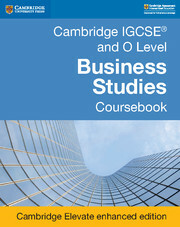 This coursebook contains exam-style case studies and stimulus material from businesses around the world – ranging from a social enterprise in China to a fast food outlet in Zimbabwe. 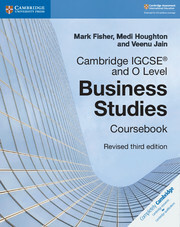 These give an international view of the real world applications of Business Studies theory. 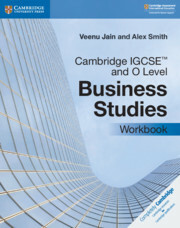 This book provides comprehensive exam support with questions to help students practise and build their confidence with the subject. The final chapter gives revision tips and advice on writing well-structured answers. 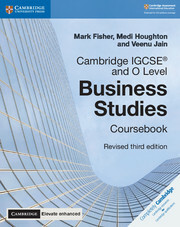 The answers to the coursebook questions are in the teacher’s resource. 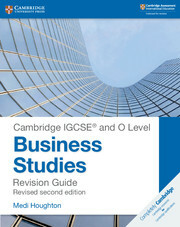 For free revision support, go to the Cambridge University Press website. 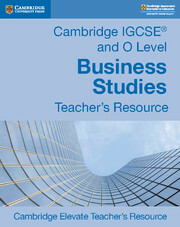 Case studies from around the world – such as a social enterprise in China and a fast food outlet in Zimbabwe – put the subject in the context of real business situations. Exemplar examination questions help familiarise students with the style of questions they'll encounter in the exams. Activities build key skills required by the assessment objectives - application, analysis and evaluation. Learning objectives provide clear aims at the very outset. Introductions make the content covered in the chapters relevant to real life. Look for the supplementary materials section on this page for extra revision questions, word searches and multiple choice questions for your class.